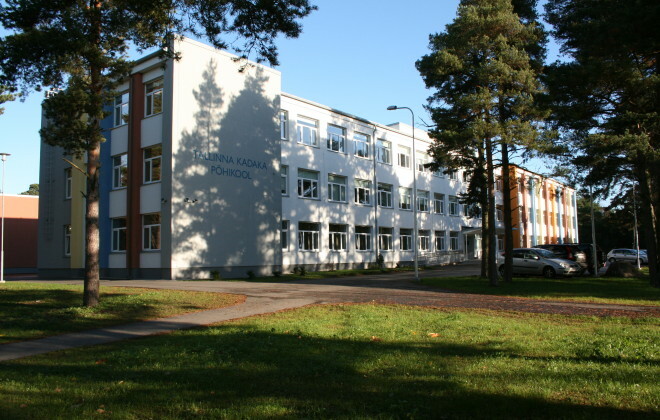 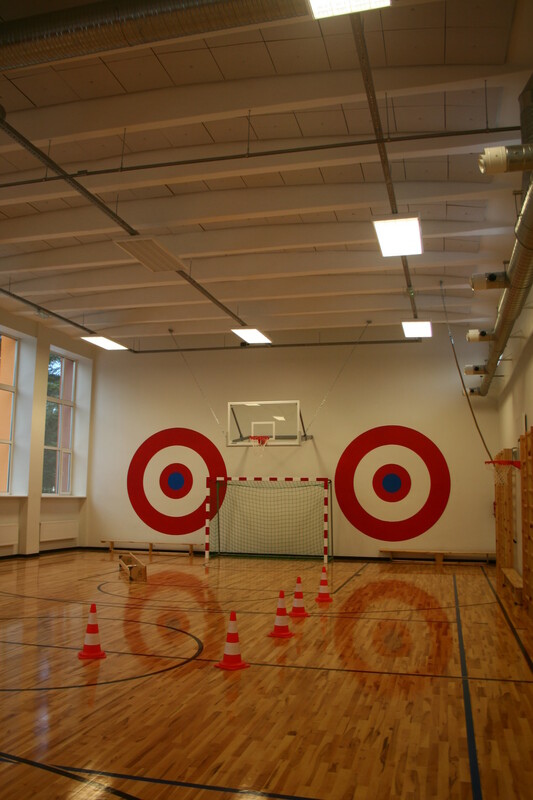 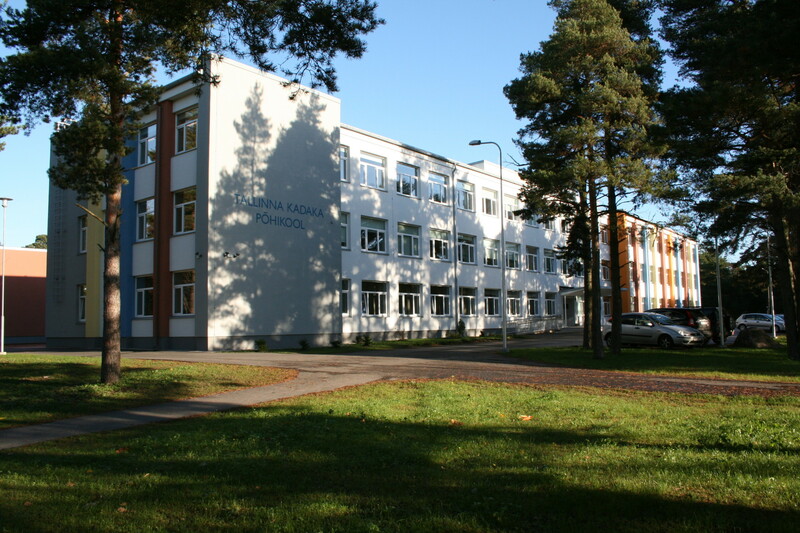 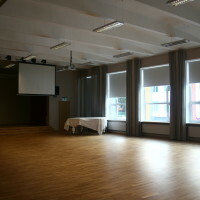 Tallinn Kadaka Basic School (formerly known as Õismäe School) belongs to the network of educational institutions for children with special needs (students with mild, moderate and serious disabilities). 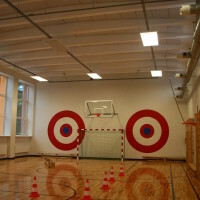 Before reconstruction the building of the former 63 basic school for people with movement disabilities was unused, and it was necessary to change the functions of the building. 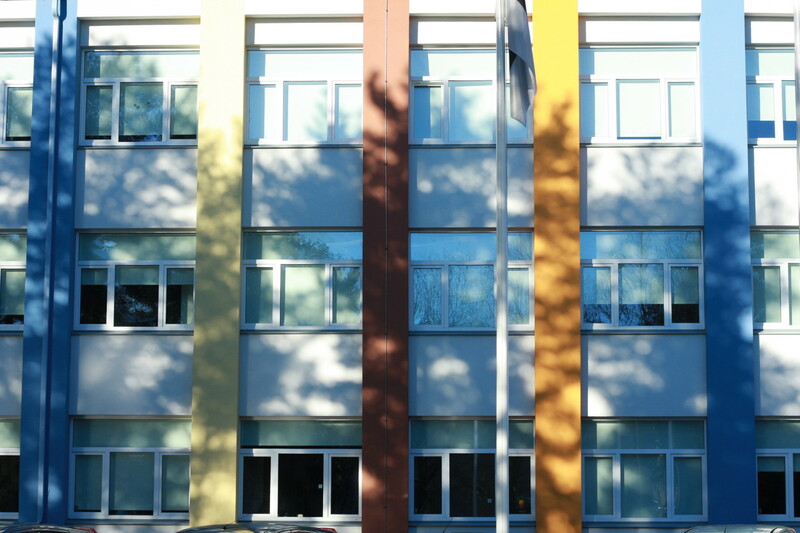 The reconstruction has provided the building with entrance ramps, a special elevator, WCs for people with special needs and study kitchens. 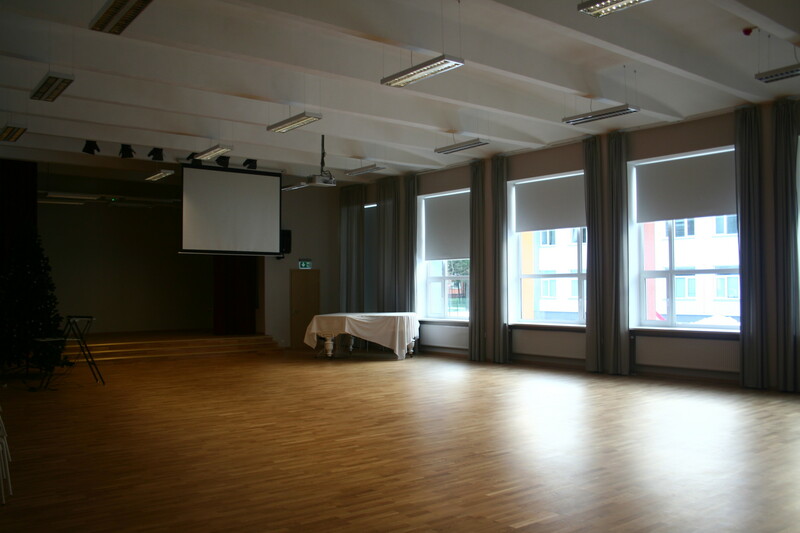 There is also a set of rooms in the dormitory ready to accept students with wheelchairs. 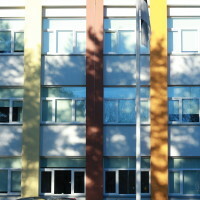 The façade of the school building has some joyful stripes and details (the same details are also used inside on the flors and on the walls in staircases). 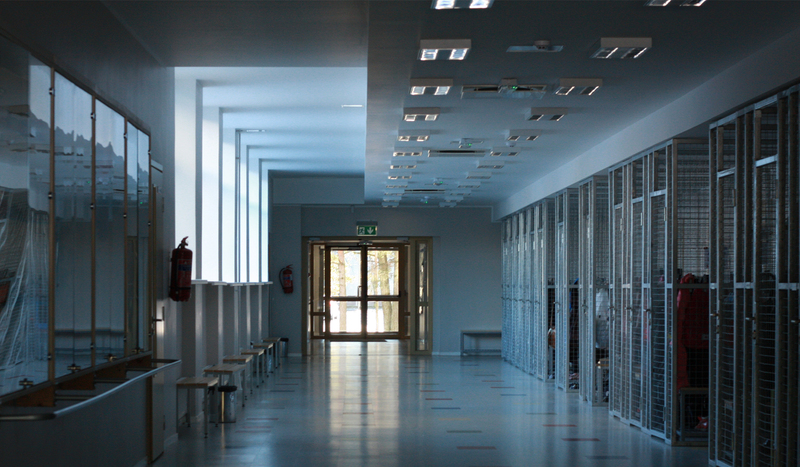 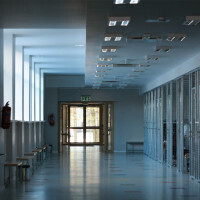 The interior demonstrates constructive elements specifi for the time: for instance, in the main hall, where instead of covering ribbed panels with acoustic plates, the respective material is applied directly to walls.